Before we start to talk about the new engine there are some things that did impress me about the development of the Core engine, and that’s mostly about how it was realized. What I didn’t know about Core is that the development of it started back in 2015, you know? That is the year that Star Wars: The Force Awakens was in theatres! On top of that a total of 250 employees worked on Core, divided over 28 teams from all over the world, and if that isn’t enough, Wargaming hired 8 external studios to make the Core engine the success that it is. And the long-awaited and much-anticipated release of 1.0 is finally here. Wargaming takes the game to the next level, which can only mean a lot of good things. The most known update about this game is the Core engine, which makes the game look so much better than the last version of the game, it gives you the feeling you go from 1080P to a 4K version of the game. But there is so much more. It’s not just the graphics, but also the music got a complete overhaul. And something that makes this update very interesting is the fact that, even though it looks and sounds so much better, it will not ask that much more from your pc. So, basically, you get a better-looking game that can be played with about the same specs of the previous version. 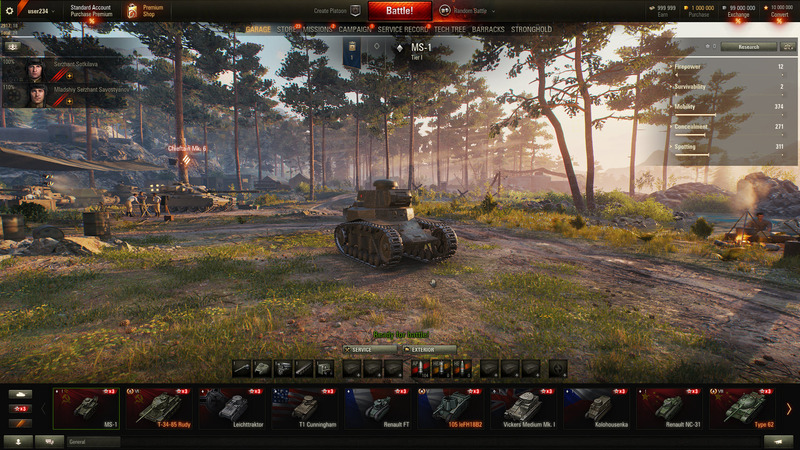 Like we said before, World of Tanks did get a new engine, which is the reason why Wargaming did change the game from World of Tanks into World of Tanks 1.0. So, is it a rereleased of the game? Did the gameplay change at all? Well, this is something that depends on what your definition of ‘gameplay’ is. Do you consider the rules and matchmaking as gameplay, then it will not change at all. The reason for that is that these things have proven to be very successful in the past, and you should never change a winning team. But the way the game looks today is something else. This update makes the game almost look like a new game. 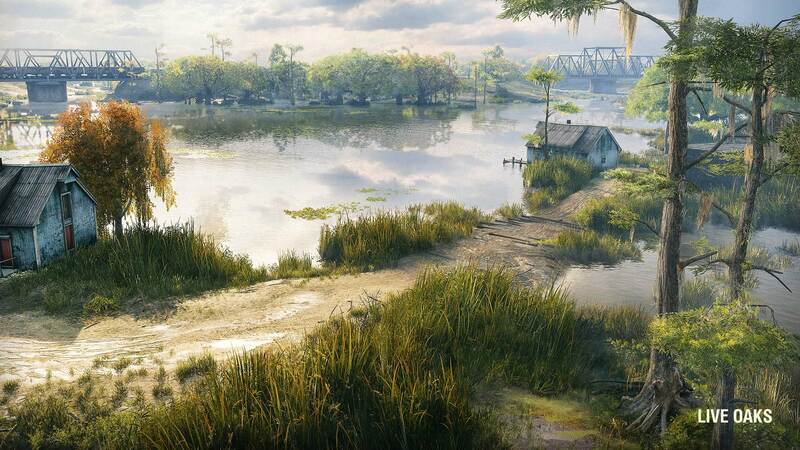 Maps have been redesigned into beautiful maps with a lot of depth, something which makes you wonder if they could not change the maps into an open-world maps from time to time. Next to the maps World of Tanks is also getting new sounds. And Wargaming did not choose the easy way with this one. All the sounds have been built from the ground up to not only sound better but also interact with the environment and the location of the map from which you are shooting. With the development of the Core engine, Wargaming made sure the game is now up-to-date when it comes down to the graphics side of the game. I can tell you a lot about this, but the best way to see what Core does to the game is by showing you. So, here we go…. But there is also a huge difference within the update 1.0, as you can see here. Check out how much the minimum settings differ from the ultra settings. Even though it looks much better than in 9.22, you can still see the huge difference between the settings. And like every release of a game, there is more than just looks, it’s also about the sound. And this time Wargaming went all the way. They did not just update the in-game SFX but they also made new in-game music. First of all, they created new songs for every map, including the new and upcoming Glacier map. All the maps now have an intro theme that has been created by the FILMHarmonic Orchestra in Prague. Which doesn’t mean it’s just a simple song, but all the maps have songs that fit the setting. If you play the Westfield map, you get the feeling you are in Scotland. And when your next match is the Glacier map, you get the feeling you are entering a severity of the Scandinavian winter. Ice is cracking, frozen metal beams inside ships screech, even a ship’s bell can be heard. But also during the game, they did a lot of changes. Depending on how good or bad your team is, an in-game music will be triggered. These triggers might help experience the game on an intense level. 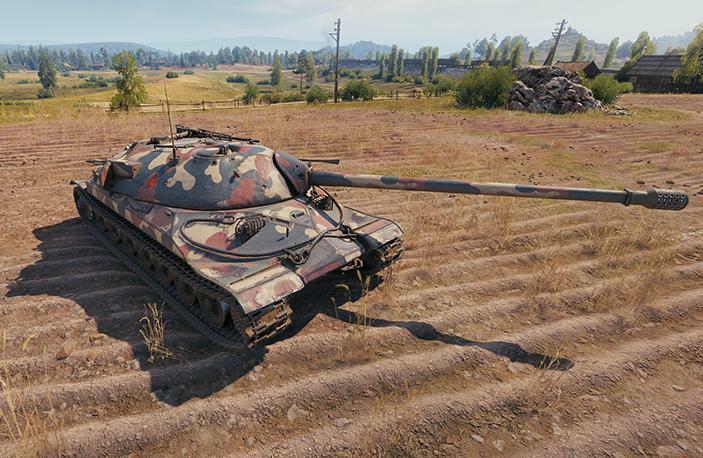 With this step, Wargaming did make the game future ready. The upgrade closed the gap when it comes down to looks and sounds. And this is only the first step. Wargaming is already working on other in-game upgrades. These upgrades will also include rebalancing the game and looking at other option to make the game an overall better experience for the millions of player worldwide.